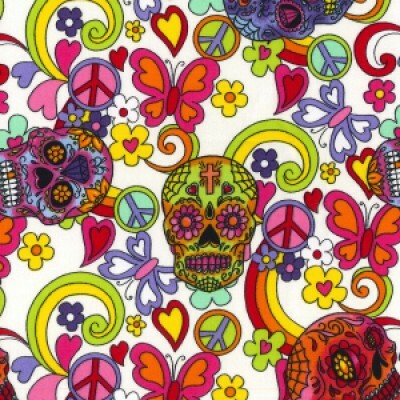 Ok – so you LOVED the sugar skull fabric – it’s all used – what’s in the shop is all there is – BUT – I can’t remember where I got it! I picked up an odd remnent ‘somewhere’ on my travels. However – would I let you down!!!! AND I have it in a cream background – pink – blue – and green. Bear with me – I am a little under the weather at the moment so things may take a little longer to apear in the shop – but ‘like’ the Facebook page – and keep an eye on here and I will shout out when things start coming together for Halloween. Yep – it’s that close!